It’s hard to believe, but yes, Christmas is just around the corner! 5 days to be exact! FIVE! If Christmas has sort of snucked up on you this year and you haven’t been as organised as you would have liked to, here are two ideas that would not only save your skin, but push you up to the ranks of awesomeness in terms of gifts. Not sure what to get for the fussy people? Not sure if a trinket is enough to satisfy the ones who have it all? How about a joke gift? No! If you want to give something for Christmas, it has to be lovely and it has to be meaningful. So, we’re suggesting the gift of edible Christmas treats! Because, why not? Don’t have gifts? Been told to bring nothing to the Christmas party? Excellent! 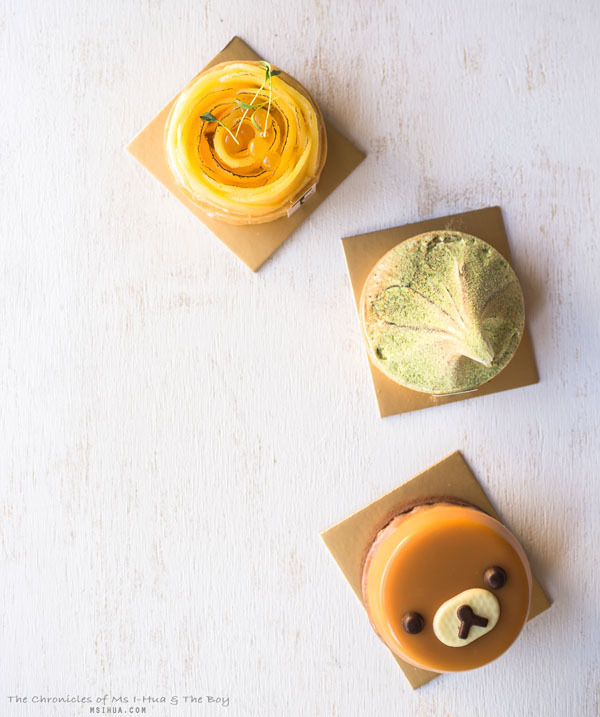 Pop over to T by Luxbite for these beautiful and delicious tarts. There’s a whole range of them that would suit any palate. 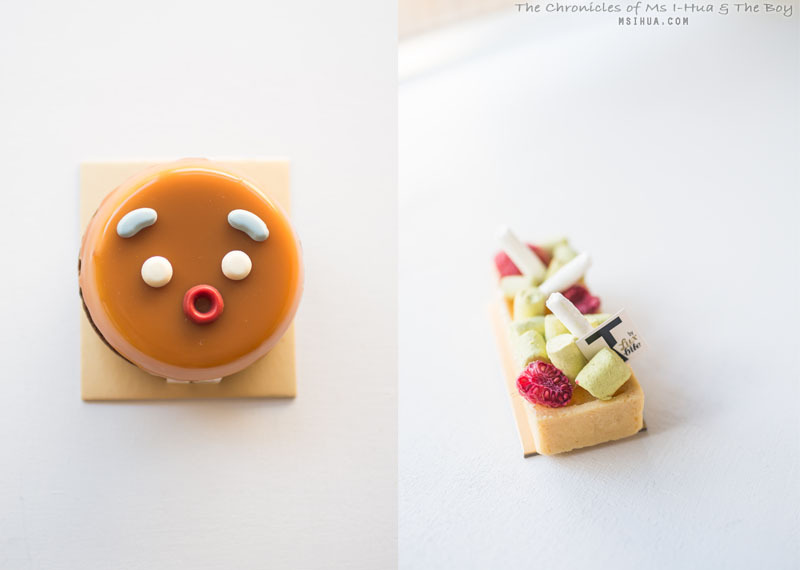 They have tarts that are so tasty and some so outrageously cute that it’ll be suitable for people of all ages. You should have seen me when I bought the Gingy tart! It was like I was five again and all I kept shouting out every 3 seconds was “GINGY!”. What about chocolates? Or a salted caramel spread with gold flecks? Or a Chocolate Bear (yes, bear) hidden with a secret surprise? 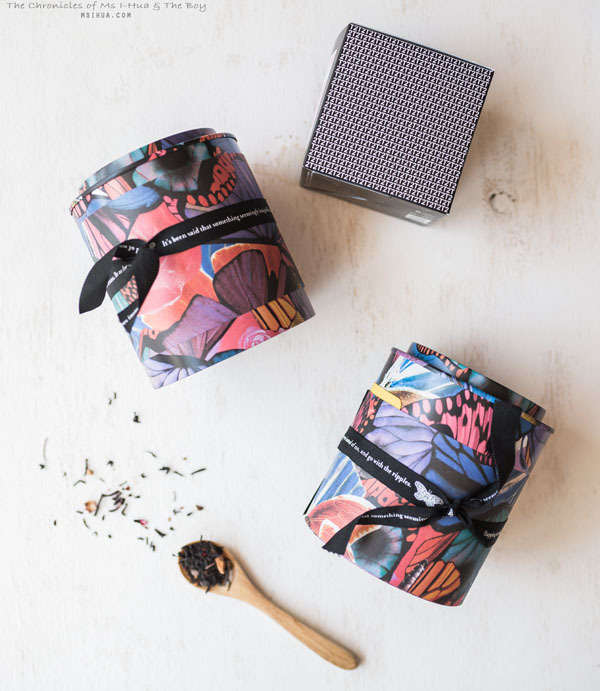 Burch & Purchese’s Sweet Studio is for you then! Choose from Miley, Pablo or Frosty to give to your loved ones. What? Visit their website to view these little cuties. How about a Christmas Pudding? 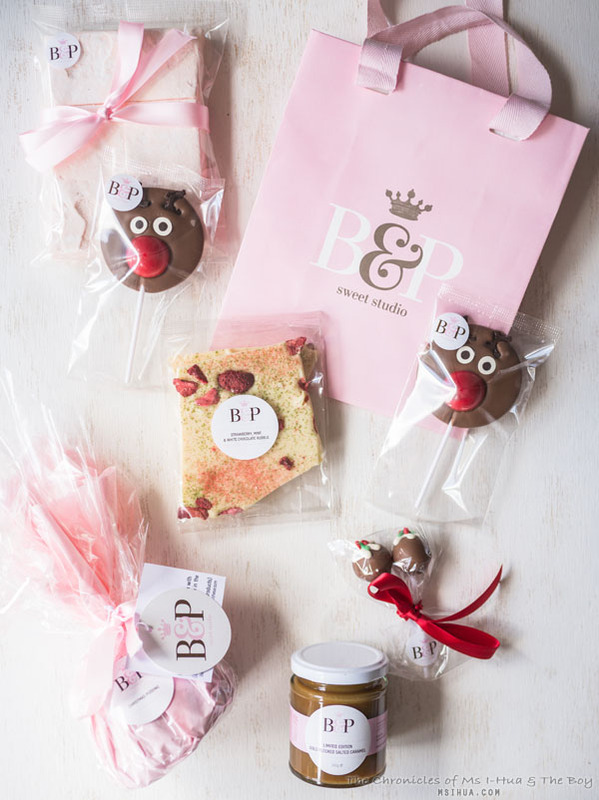 Gifts range from normal chocolate confectionary (as normal as B&P can get) to Christmas Chocolate Pops and even Chocolate Baubles (entirely edible apart from the metal bit to hang to the tree). You know you want to. Why not indulge and just do it? If chocolates, tarts and interesting confectionary treats aren’t up your alley, then how about macarons? 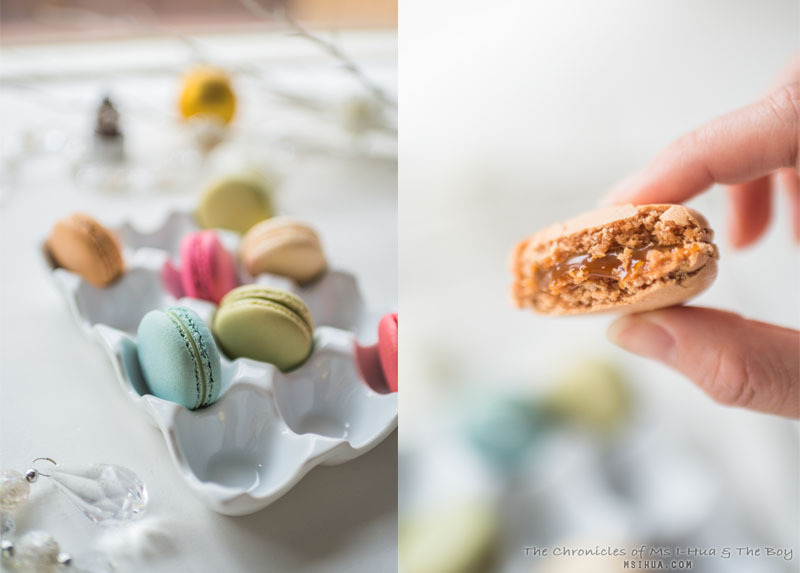 Everyone loves a good looking macaron. Hands down, head on to La Belle Miette, easily Melbourne’s best macarons (IMHO). They’ve even brought out special Christmas flavours to entice you and it’s all packaged up in their signature macaron gift boxes. Our favourite out of the three were definitely the pear and walnut. So so good! 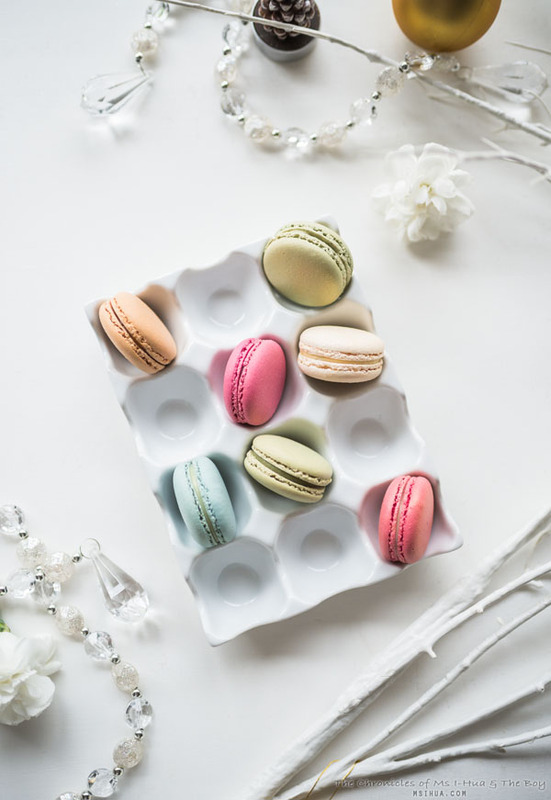 Old favourites such as the Salted Caramel, Pistachio and Blueberry and Violet macarons are also sure to make everyone swoon with deliciousness. Enough with the desserts and sweet treats? Want to give something that is both perfect for Christmas and summer? 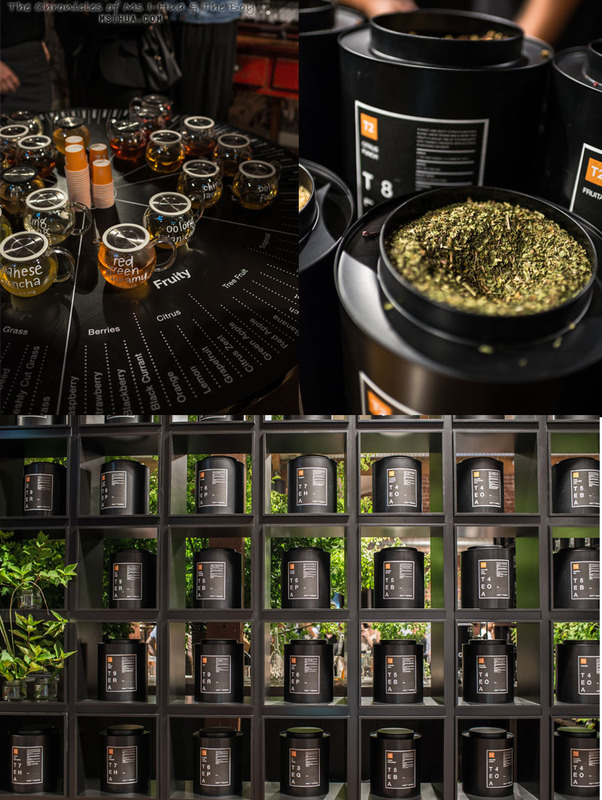 Head on down to T2 for practical tea and tea related gifts. They have the most delicious sounding tea blend names that you can’t just go pass without sampling. Whilst you’re in the shops sampling and sniffing, why not leave with a few boxes or cans of tea? They make the perfect Christmas presents. Oh and teapots and teacups. Heck, I wouldn’t mind if you bought the store for me! 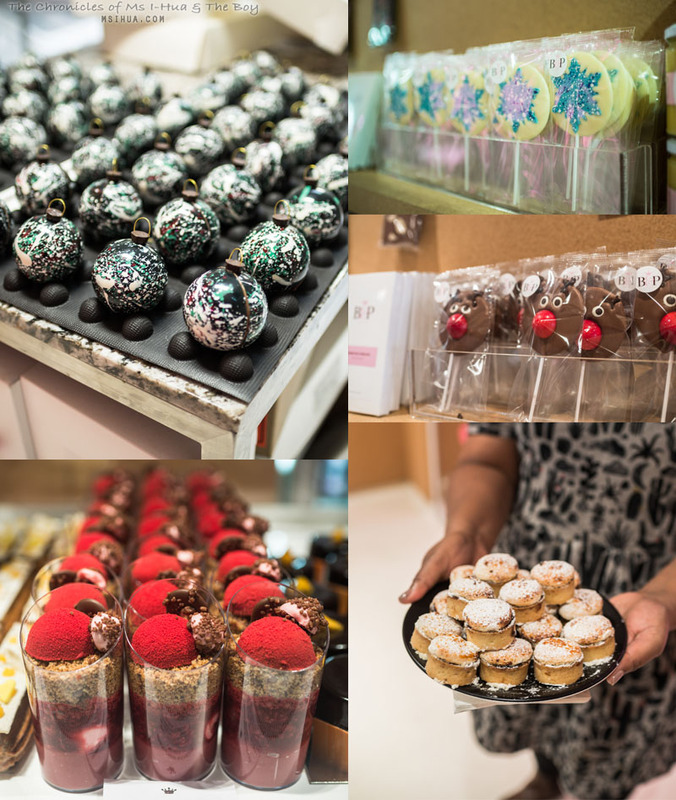 Visit your local T2 outlet for more Christmas inspiration. 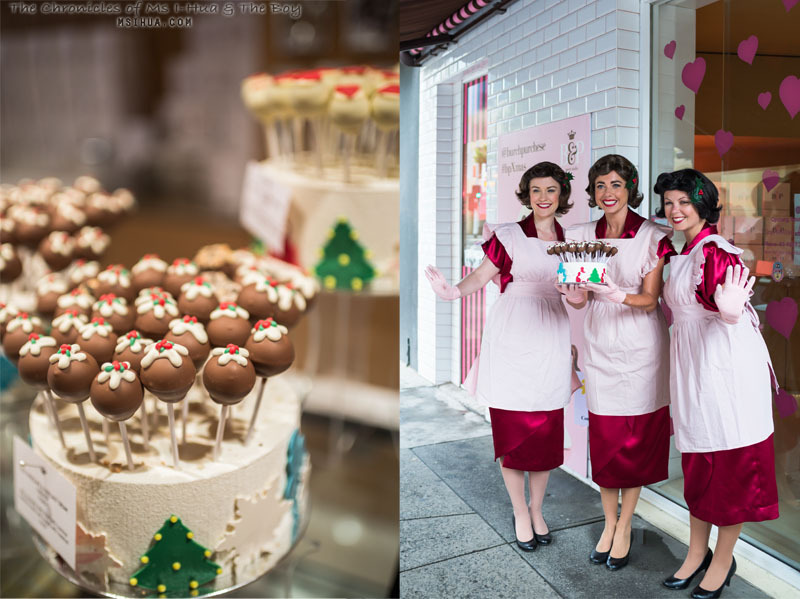 A trip down to Yarra Valley Chocolaterie and Ice-Creamery for the Christmas break? Heck, why not? A gift doesn’t have to be all about the actual present. Do it in the form of a road trip with the family. It’s only an hour or so from Melbourne CBD. Your kids will love you more for it! Ahhh, we’ve got you covered too! Gift vouchers that encompass anything from sweet to savoury. How about popping online over to Dish’d and putting in an order on someone’s behalf? Surprise them with a dinner party perhaps? Or just provide them with an e-Gift Card. They can decide what they want to eat, be it savoury or sweet. With Jacques Reymond as their chef ambassador, you know it’ll be good! That man wouldn’t put his name on something he didn’t believe in. We’ve had a few orders from dish’d now and we must admit, at first, we were definitely sceptical. 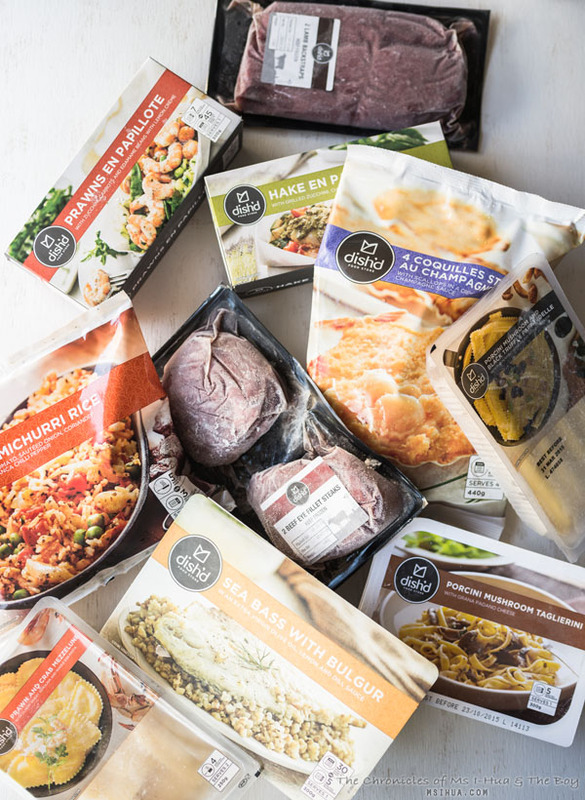 How good could frozen food be? How would it differ to the scores of packaged frozen food in the local grocer? And then we ordered. And then we cooked the food. And then our minds were blown. My particular favourite thing to order at the moment is the Chimichurri rice. 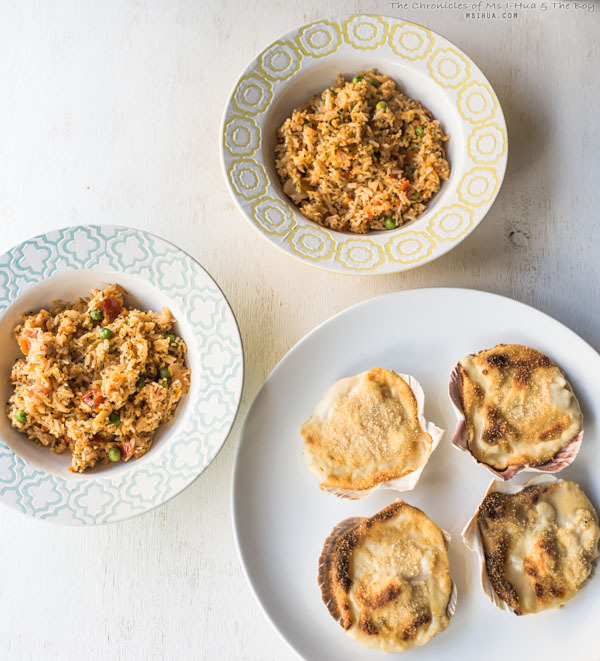 It’s packed full of flavour and so easy to heat up! Perfect for those nights when you’re just too tired to do anything. Seafood, poultry, red meats, desserts, pastas, Dish’d has it all! Another reason why this is slowly becoming our favourite go-to online food store is that the food tastes so good. Seriously easy to cook and delicious to eat. So what are you waiting for? Save your procrastination for another day! Hopefully we’ve managed to trigger some creative juices flowing in terms of gift ideas.